Dr. Cristiane Busato Smith, Global Shakespeares regional editor for Brazil, will chair a session on Friday, February 07, 2014 on Shakespeare and the Catastrophic at the 20th Annual ACMRS Conference, Arizona State University. She will also be presenting a paper entitled “Macbeth: Visions of Apocalypse Now and Then” on Saturday, February 08, 2014. MIT Global Shakespeares / Arizona Center for Medieval and Renaissance Studies. Images of the apocalypse have always populated the imaginary landscape of mankind. For thousands of years, images and narratives reenact the classic eschatological pattern of crisis, judgment, and salvation to make sense of the world and renegotiate chaos and disorder. 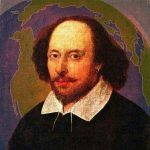 Shakespeare’s tragedies offer poignant examples of destruction, sterility and cosmic cataclysm. Macbeth, in particular, provides an interesting platform for the apocalyptic hermeneutics with its images of destruction and chaos brought by the vulnerable moment of rise and fall of a tyrant governor. One of the elements that renders Macbeth noteworthy in this context is that not only do images of curse and disaster contaminate the play’s stage history but they also invade events in the public sphere, crossing boundaries of time and cultures. This is the case of two Brazilian stage adaptations, Ulysses Cruz’s Macbeth (1992) and Arnaldo Antunes’ Trono de Sangue (1992), which capture and prefigure the bleak political Zeitgeist of 1992 Brazil. Resembling a cultural wasteland after its twenty-one-year military regime (1964-1985), Brazil was now struggling with the scandalous political scenario of rampant corruption, spiraling inflation and escalating violence, which culminated with the impeachment of President Collor de Mello, himself a Macbeth of sorts. This paper analyzes some of the significant interpolations that simultaneously incorporate and resignify Macbeth’s images of the apocalypse within the disturbing reality of the time.